For best results, ensure that you have a good internet connection when you configure the account. Open your Mac Mail application. Select Mail >> Accounts >> Click the + icon in the bottom right, to add a new account. 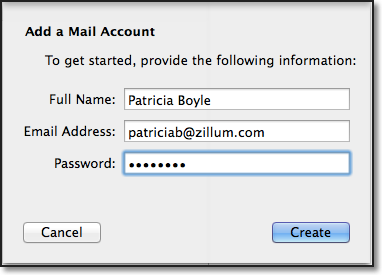 Choose Add Other Mail Account, skipping the default options provided. Specify your preferred Display Name, Email Address of your account in Zoho and your password. Click Create. Apple Mail will try to auto-discover the settings for your account. Click ‘Next’ to provide the configurations details manually. Mail Server: imap.zoho.com for personal users, imappro.zoho.com for organization users who have their domains hosted with Zoho Mail. Apple Mail verifies the account details and maps the Incoming server details for the account. 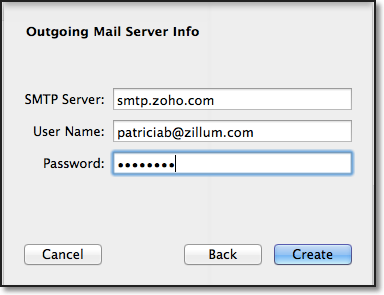 Click Next to configure the Outgoing Mail Server Info for the account. The account will get created based on the server details provided. 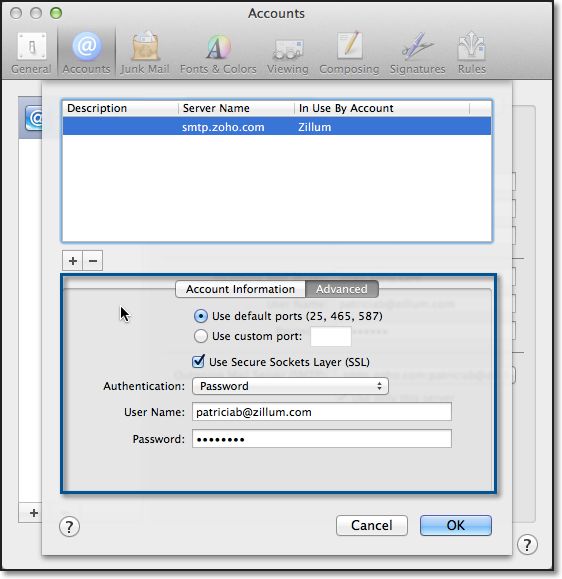 The folders and the emails in the account will be synced with the Mac Mail client. 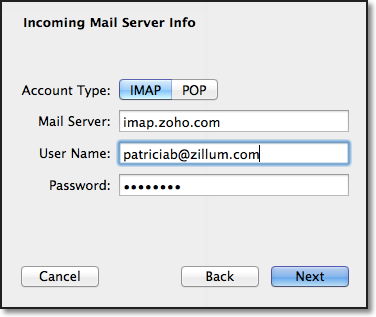 In case you get authentication errors, check your IMAP Status. 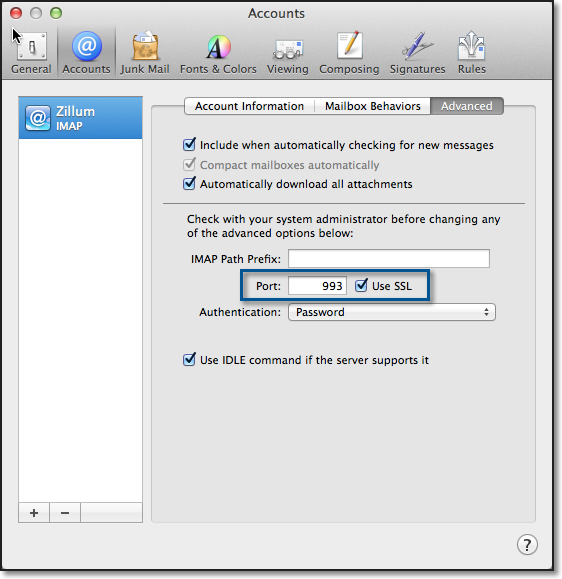 If IMAP Status is disabled, Enable IMAP and try again. In case you are a part of an organization, the administrator may have restricted access via IMAP to your account. Contact your email administrator for details. Often connection errors happen when the server details are incorrect. Check if the Incoming and SMTP Server names are correct. Check if SSL is turned on for the SMTP server, Authentication is checked and the port number is 465. Mail >> Preferences >> Accounts >> Edit SMTP Server list.